At this geological curiosity, the eponymous stairs do not refer to an elevation in height. Rather, masses of boulders along this area of the coast extend out into the sea, creating small bays and ponds. Coral has grown in these relatively calmer waters, creating an ecosystem thriving with fish and lobsters. When the mist creeps in from the sea the sights here are quite ethereal. Also check out the fishing village, the harbour, and the pretty park and campground area (you’ll also find the Visitor’s Center there). See the locals at work, usually fishing or carving wood. Try the smoked flying fish. North of the village you’ll find a stone monument to the workers who died in the construction of the highway. Tour buses make a mandatory stop here. Love this? 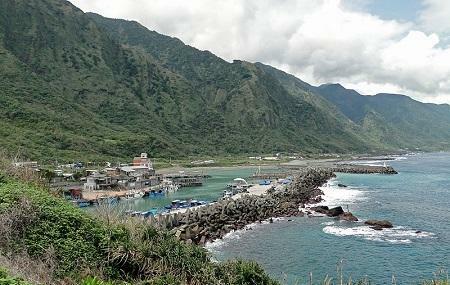 Explore the entire list of places to visit in Hualien before you plan your trip. Fancy a good night's sleep after a tiring day? Check out where to stay in Hualien and book an accommodation of your choice. People normally also visit Tropic Of Cancer Monument Park while planning their trip to Shihtiping. This is a must-do! We absolutely LOVED it here. Hired a taxi to drive us there and stop at a bunch of places on the way. It cost 3000 TWD and we had the car for about 7 hours. It was an amazing day and I HIGHLY recommend it to anyone. Even on a rainy day, it’s gorgeous. Wear the shoes that are not slippery because you will have to climb the rocks. Superb view of rocks and sea. I went there during the national holiday so it was very crowded on the rock. If possible, try to avoid visiting there during the national holiday. Make sure wear sport shoes or comfortable shoes as you need to climb rocky and slippery rocks in between.. Whoever love scenery & sound of waves ocean (breezy) then these is a place must visit.. Surely won’t regret to pay a visit here.. Absolutely beautiful. Strongly recommended. Good view of the mountain and shoreline.